Does valdiesel belong in this group? Does xray1612 belong in this group? 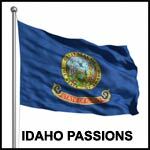 Idaho tattoo I grew up in Idaho, and have lived in other states. Every time I leave I come back, so I know it's the place for me. Does haleya belong in this group? Does susan341 belong in this group? Does vincerian23 belong in this group?